Let’s take a behind-the-scenes look at an easy way to contribute to you feeling and looking like a million dollars. 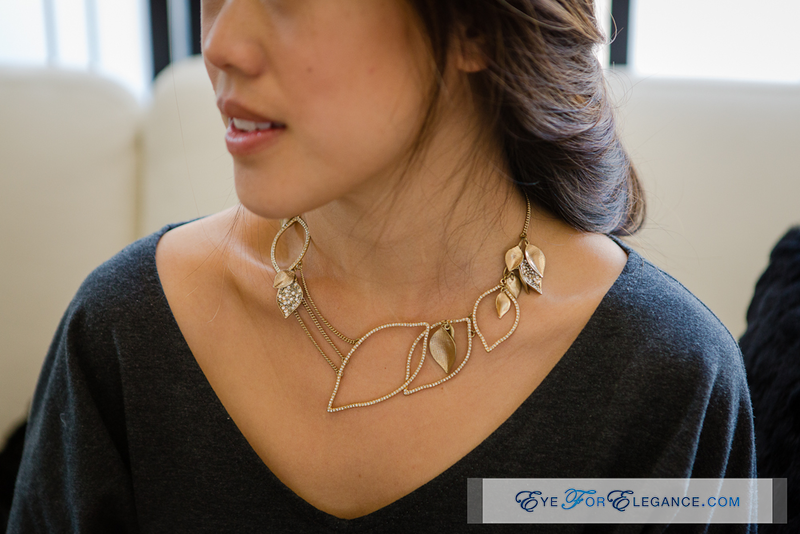 Precious pieces of jewelry that have enormous emotional significance – a family heirloom or a wedding ring – should be presented in the best light. After all, they are valuable, sentimental items to deeply love and care for. I’ve seen impressively-large stones with beautiful settings that I’m sure are worth a lot, but are dull and muted from lack of proper care. So sad; bling like that deserves to be showcased! One of the best gifts I have ever received has been from our talented SF-based wholesale jewelry designer who created my engagement ring and our wedding rings (happy to provide reference details upon request). Upon completion of my gorgeous eternity wedding band, he said he had a wedding gift for us(! 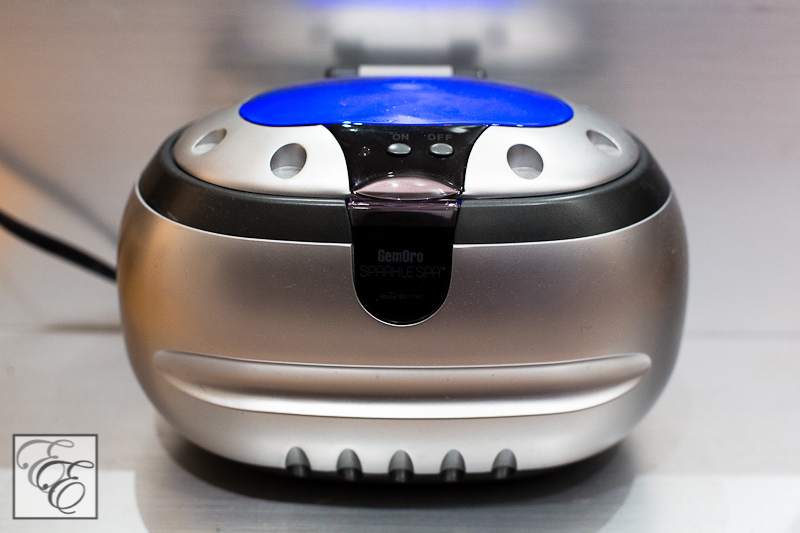 ), and presented me with a GemOro Sparkle Spa Mini Ultrasonic Cleaner. I’ve had limited exposure to jewelry cleaners, but I was never convinced of their value. I’m leery of gadgets that sound nifty, but have no daily use value and end up being boxed and shelved in the storage closet. Also, since I don’t know how to identify technological authencity (true ultrasonic versus simple vibration), my search efforts probably would have garnered lesser-quality results. I was completely impressed by the impeccable, gleaming results I got with this GemOro cleaner. Instantly and thoroughly converted! Now I clean my rings every morning as I’m putting on my makeup, dump my glasses in every couple of days, and rejoice in bringing out the beauty of older pieces that very likely look better now than they ever have. 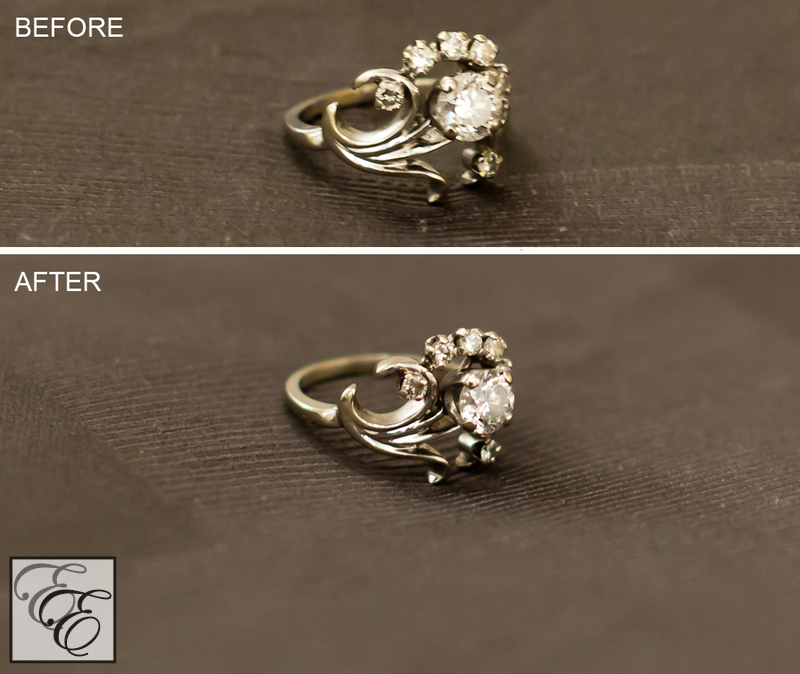 As an example, here’s a ‘before and after’ shot of a ring from my grandmother that has been in storage for a number of years. There has been no sharpening/contrast processing done to the images, and I tried to create the same image as closely as possible. The visual differences in the photo is subtle; the silver seems to be more reflective, and the main stone’s facets are more visible and defined. In person, the change is obvious; the ring clearly sparkles from a distance. This is a great tool, as it significantly contributes to my pride and enjoyment of my jewelry. I highly recommend this to effortlessly keep precious pieces at their best, but please research use guidelines and don’t clean ‘soft’ gems such as opal, turquoise, or pearl in it.